Reconnect with your body’s natural rhythms in just 15 minutes per day with our guided meditations for fertility. De-stress with this proven, science-based program that many women just like you have praised for helping them become pregnant. Improve your health and well-being in preparation for one of the most precious experiences a woman can have. 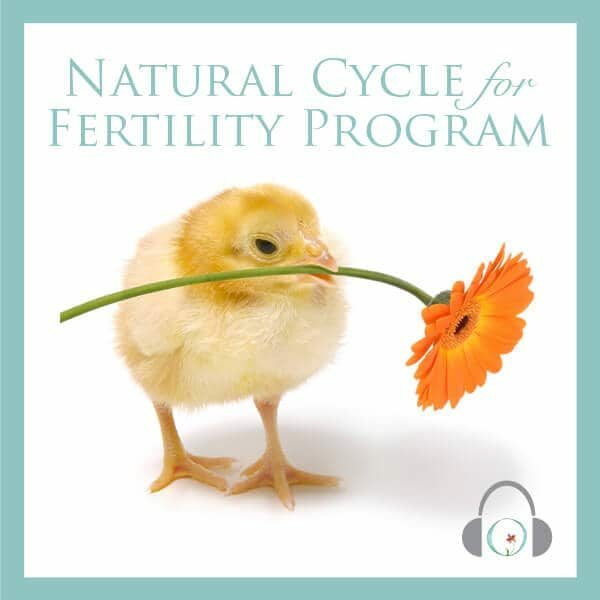 The Natural Cycle for Fertility Program includes 28 unique, guided meditation audios for fertility—one for each day of your reproductive cycle. Start at any day of your cycle and customize to meet your needs. You’ll also receive an invitation to the C+B Infertility Support Circle, our private Facebook group for you to talk woman-to-woman about fertility and motherhood, and an opportunity to participate in our monthly Circle+Bloom online jam sessions with Rosanne Austin. Your one-time purchase includes lifetime access to this program and is also available risk-free with a 100% money-back guarantee. More optimistic outlook on life. This fertility program was developed, with the help of qualified doctors, for hopeful soon-to-be Moms by a now-Mom who was told becoming pregnant would be difficult. The guided meditations and visualizations help to calm you, balance your hormones, and prepare your body for pregnancy. Read reviews from many women who’ve succeeded in becoming pregnant while using this program. Start your path towards a positive pregnancy today! Check with your company’s health benefits team to see if this program qualifies for reimbursement under your Flexible Spending Account. This program includes 28 unique audio meditations (15 minutes each). You will receive instant online access once you create your account and will be able to download the sessions as well to listen to them however you prefer to. To learn more about how our guided meditation programs work, please view here. Align this guided meditation program to your own cycle. Double-up and skip sessions as needed. Cycle Day 1: Shed excess stress in the hypothalamus-pituitary glands. Internalize a visualization of the mind-body connection. Cycle Day 2: Reduce stress and stimulate the hypothalamus-pituitary connection. Visualize the mind-body connection again to strengthen subconscious understanding and intuition. Cycle Day 3: Continue visualization of the hypothalamus communicating with the pituitary gland. Prepare your body for implantation later in the month by shedding the uterine lining (menstruation). Cycle Day 4: Learn how the hypothalamus-pituitary glands communicate with your ovaries. Reduce stress and stimulate overall healing using water symbolism. Cycle Day 5: Relax and visualize the relaxation of your reproductive organs, and focus on the hypothalamus-pituitary connection to your ovaries. Cycle Day 6: Add visualization of the developing follicles and passable fallopian tubes to hypothalamus-pituitary and ovary communication. Cycle Day 7: Visualize hormonal balance and the effects that reducing stress has through the entire body. Visualize your uterus and the beginning phases of preparing for a fertilized egg. Cycle Day 8: Imagine an abundance of healthy follicles and eggs, and how the ovaries are developing and building up for one special egg (or eggs) for ovulation. Cycle Day 9: Picture the perfect development of an egg and the preparation of the uterus with just the right amount of hormones in a balanced, natural state. Cycle Day 10: Special exercise. Picture a “magical” screen that passes through the body, eliminating anything foreign and unnatural, down to the cellular and molecular level. Cycle Day 11: Visualize and feel confident that hormones are passing through at just the right time and speed, gearing up to release an egg. Cycle Day 12: Learn about the luteinizing hormone surge in anticipation of release of egg to the fallopian tubes. Visualize a fully developed, healthy egg released into the fallopian tube. Cycle Day 13: Anticipate the luteinizing hormone surge, and completely relax your reproductive system. See complete balance and harmony. Cycle Day 14: Visualize an egg release into the fallopian tube. Special Ovulation Session: You’ll use the Law of Reversed Effort (thinking of a time when you didn’t want to get pregnant) with a fun visualization to help you succeed this time. Cycle Day 15: Focus on ovulation, releasing an egg, and the cervix preparing to accept healthy sperm. Cycle Day 16: See the sperm combine with your egg in a perfect and wholesome embrace. Cycle Day 17: Visualize the union of sperm and egg, the growth and tiny movement of the fertilized egg. Nurture balanced hormones, particularly progesterone. Cycle Day 18: Visualize your fertilized egg making its ways through the fallopian tube towards the uterus, while progesterone communicates between your ovary and uterus. Cycle Day 19: The blastocyst is moving with its own energy. Visualize its optimal growth and timing. Everything is in perfect balance. Cycle Day 20: Visualize your fertilized egg continuing to grow while you develop a healthy uterine lining. Cycle Day 21: The fertilized egg travels through the fallopian tubes toward the building uterine lining, which is anticipating the egg’s arrival. Cycle Day 22: The fertilized egg drops into the uterus, making its way towards the walls of the uterus. Cycle Day 23: Visualize the inside of the uterus and see the egg implanted or preparing to implant. Cycle Day 24: The egg implants into the uterus with the right hormone circulation and balanced growth. Cycle Day 25: Visualize your egg and the beginnings of the placenta, growing in harmony. Cycle Day 26: Visualize the perfect amount of blood, nutrients, and energy surrounding the uterus and embryo. Cycle Day 27: Visualize your uterus as being full, heavy, round, and delivering the right amount of energy and love for the perfect development of the embryo. Cycle Day 28: Contemplating the pregnancy test, preparing for both positive and negative results. Find emotional fortitude to deal with either result. What does relaxation have to do with getting pregnant? You’ve probably heard about how chronic stress negatively impacts sleep, but it also negatively impacts fertility. While research is still inconclusive about why this is, it’s clear that relaxation techniques like visualization and meditation help reduce stress and increase the chances of perception. We’ve received countless stories from our community about how our programs have not only helped people become pregnant, but also how their feelings of well-being and calm have positively impacted their lives. Learn more about the science behind our work. 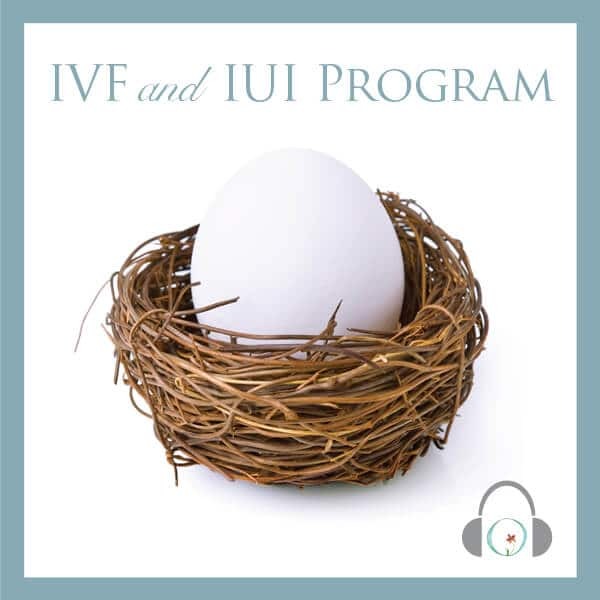 What types of infertility is the Natural Cycle Program for? Our flagship program, the Natural Cycle Mind-Body Fertility Program, was designed to help reduce your anxiety and stress associated with trying to conceive. Anyone experiencing problems getting pregnant can use this program, which will help you strengthen and balance your mind-body connection. Women diagnosed with unexplained infertility, endometriosis and PCOS have become pregnant while using our programs. Will the program work for me if I have longer or shorter menstrual cycles? Yes, it’s easy to adapt our programs to longer or shorter cycles. You can skip, repeat, or double-up on sessions as needed and still experience 100% of the benefits. Don’t worry about exact timing. Taking time for yourself every day to relax and focus on your body and health is the most important thing. I have not been diagnosed with infertility, but I want to have the highest chance possible to become pregnant. Is this program for me? Yes, this program will still be useful for you, especially if you’ve experienced growing anxiety about becoming pregnant. Anxiety is associated with infertility, and the program will help you relax and connect your mind and body. How can a simple MP3 file really affect my health and reproduction? 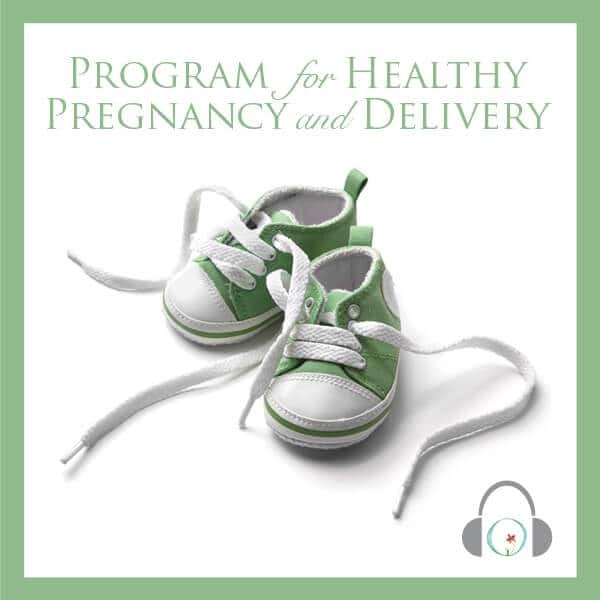 The audio files you receive with the programs employ mindfulness meditation techniques to help with fertility. We use a science-based technique that enhances and balances your mind-body connection. While stress is experienced emotionally, it can negatively affect your reproductive health. Listening to calming music and meditation prompts helps you relax and increase your feeling of well-being. We offer audio files so that you can listen privately through your headphones at any time of the day. Listen to a free mind-body seminar to start your experience. Is it hard to get pregnant at 35? If I’m over 40-years-old, should I use this program? Absolutely. Many women can conceive after 35 and even 40. Our programs aren’t age-specific—you can reap the benefits of mindfulness and meditation techniques at any age! Find out more here. I truly love this program. It helped me relax and stay calm. I got pregnant the second month after I started using the guided meditations. I have severe anxiety and I think that was holding me back from getting pregnant. I loved relaxing every day with the fertility program and I just ordered the pregnancy version. Thank you for creating such an amazing product! Being calm, relaxed and positive during your in-vitro fertilization (IVF) or intrauterine insemination (IUI) process can be challenging. This program will help you de-stress and gain confidence every step of the way, with short guided meditations for pregnancy that encourage your body to welcome your impending little miracle. You can become pregnant even if you have polycystic ovarian syndrome (PCOS). Circle+Bloom Founder Joanne Verkuilen is living proof! 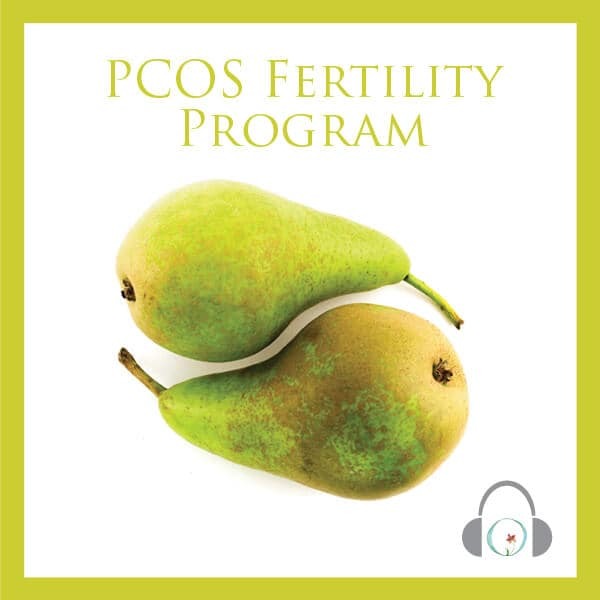 The PCOS Fertility Program helps aspiring mothers restore emotional and hormonal balance through guided meditations for fertility specifically designed for those with PCOS. If you’ve lost hope that you’ll be able to conceive, this can help. How much does stress impact fertility? Spread The Love And Earn Money!